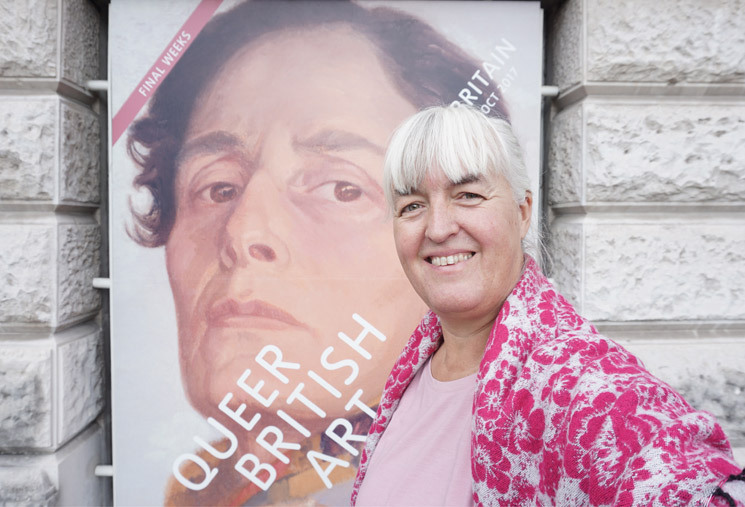 I was in London last week and QUEER BRITISH ART 1861–1967 at Tate Britain on my must see list. 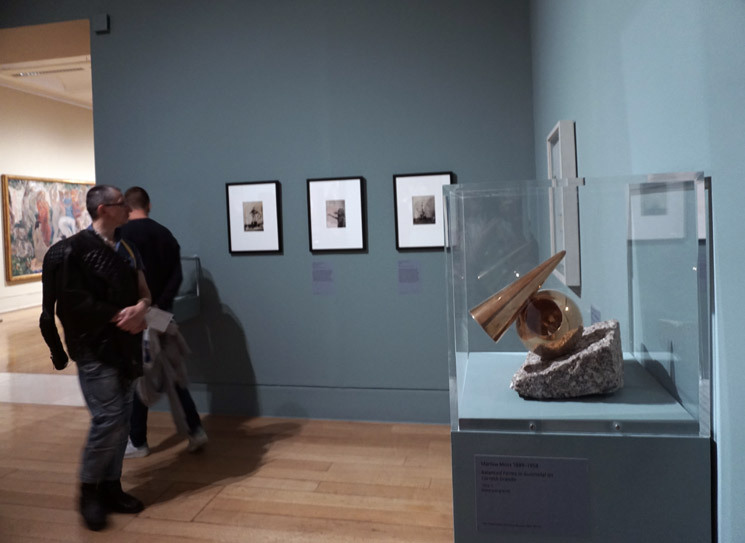 The exhibition which is divided into eight themes is featuring works from 1861–1967 relating to lesbian, gay, bisexual, trans and queer (LGBTQ) identities, the show marks the 50th anniversary of the partial decriminalisation of male homosexuality in England. 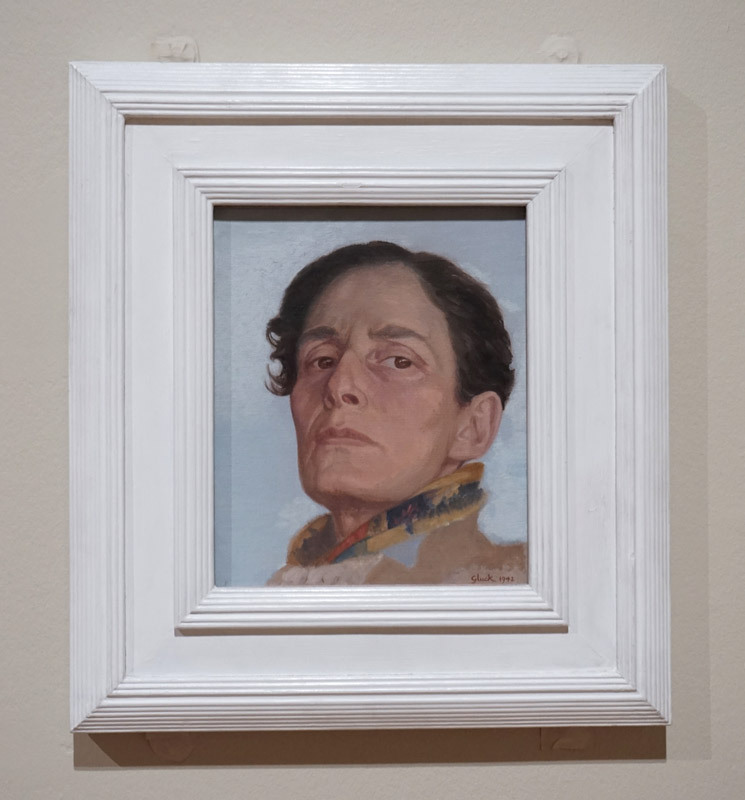 The Tate writes, Queer British Art explores how artists expressed themselves in a time when established assumptions about gender and sexuality were being questioned and transformed. 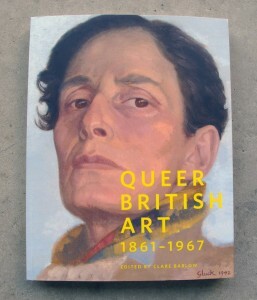 I found the exhibition Queer British Art interesting as it is the Tate’s first major survey of works by queer artists in British art history and I am happy that the Tate’s curator Clare Barlow has succeeded in including works by lesbians and butch/transgendered women artists in the exhibition. This definately made it more interesting for me. Unfortunately, the exhibition did not present any works by a living lesbian artist. 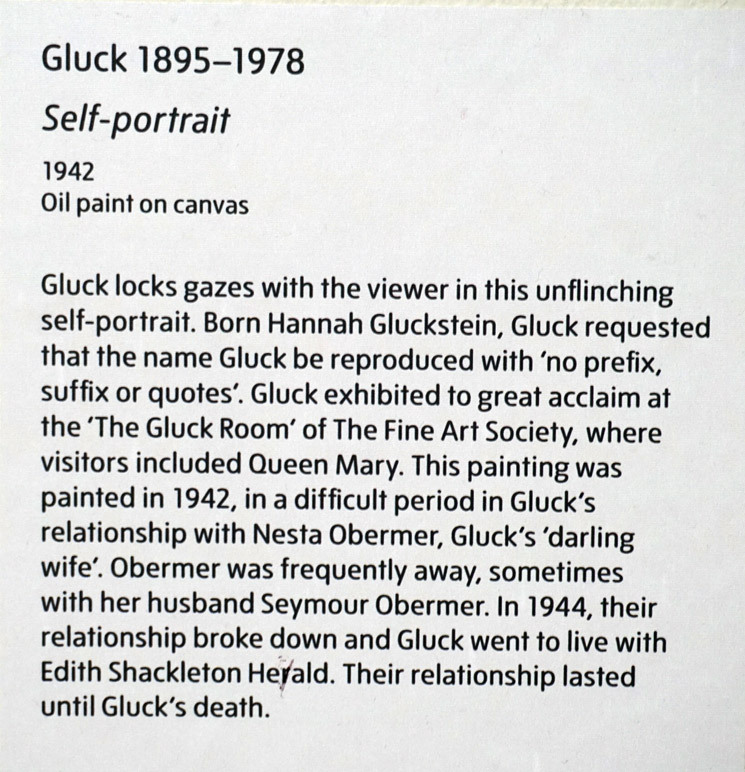 I think that the texts about the individual art works in the exhibition are innovative in the way the describe the artist’s relationship – in this case Gluck’s relationship with her girlfriend(s) and ‘darling wife’. This makes visible how much a relationship can influence and has influenced the creative practice of the queer artist and as such is a great improvement to the curatorial practice. Below is one of the flower paintings which Gluck painted during the period she was in a relationship with high society flower arranger and decorator Constance Spry. 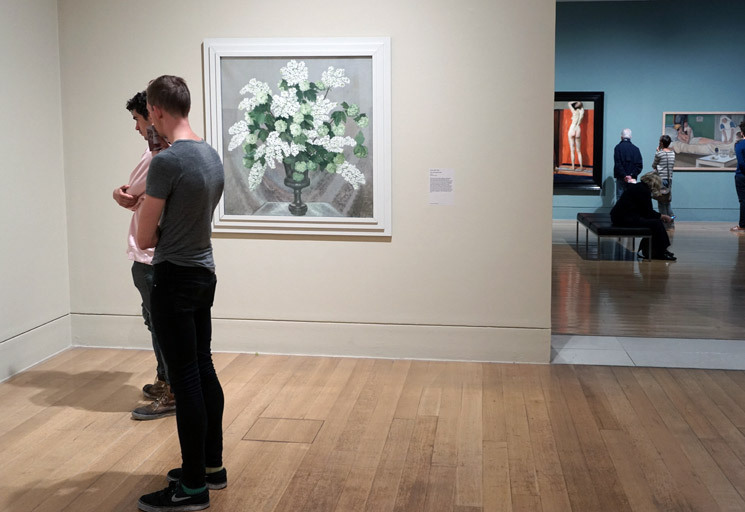 The art works presented in the Queer British Art exhibition were divided in to eight themes: Coded Desires, Public Indecency, Theatrical Types, Bloomsbury and Beyond, Defying Conventions, Arcadia and Soho, Public/Private Lives and Francis Bacon and David Hockney. And a nice catalogue with pictures of all the works has been published by the Tate. Walking through the exhibition on a Sunday afternoon, I saw lots of gay and queer couples among the audience which also included, tourists and families with small children. 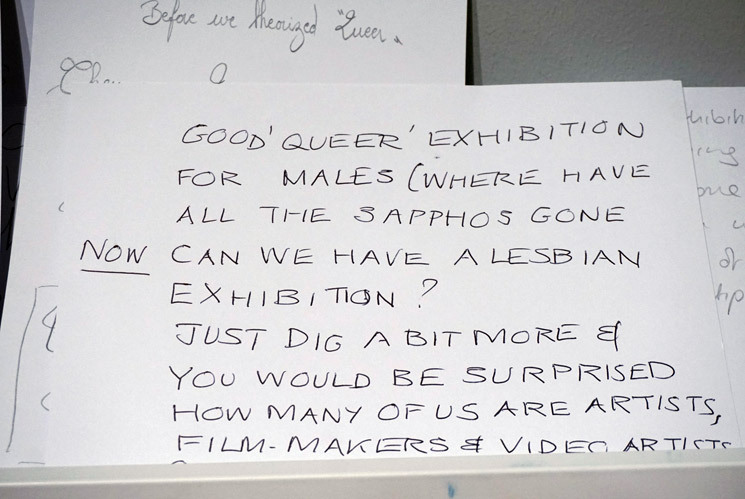 In the last room of the exhibition a series of interviews with homosexual people were screened on tv monitors and the audience was invited to write comments related to a series of questions posed by the Tate. 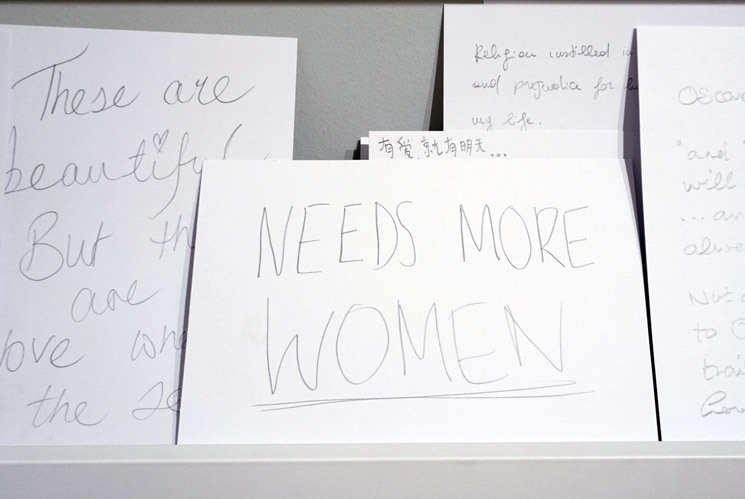 Among the handwritten comments were some that addressed the fact that work by male artists always get shown more than work by lesbian/queer women artists (see below). Last chance to see the exhibition is October 1, 2017.